My littles and I are always happy to eat pudding right out of the fridge...it's just one of those snacks we can all agree on and love...but dolling up a simple pudding snack a bit with fresh berries and serving it out of a teeny mason jar makes it a little more fun. And of course these snacks are the perfect way to prepare for the summer vacation picnics we'll be having in just a few more days!! they're all made with simple, wholesome ingredients, including real milk and no artificial preservatives or hydrogenated oils. All are a good source of calcium and are also gluten free! 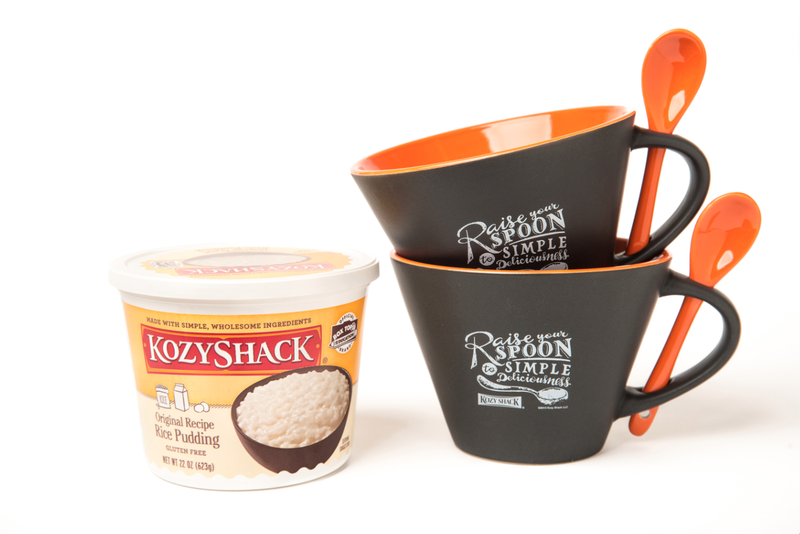 One lucky reader also has the chance to win 2 premium, ceramic Kozy Shack® Pudding mugs with spoons. He/she will also receive a product coupon good for one (1) free package of any Kozy Shack® product, up to $4.99 value. You may enter below...good luck!! I never thought to put fruit on my pudding...cool whip yes, fruit no. I am going to have to try it out! I LOVE pudding - the fruit on top looks delish! Thanks for the giveaway.